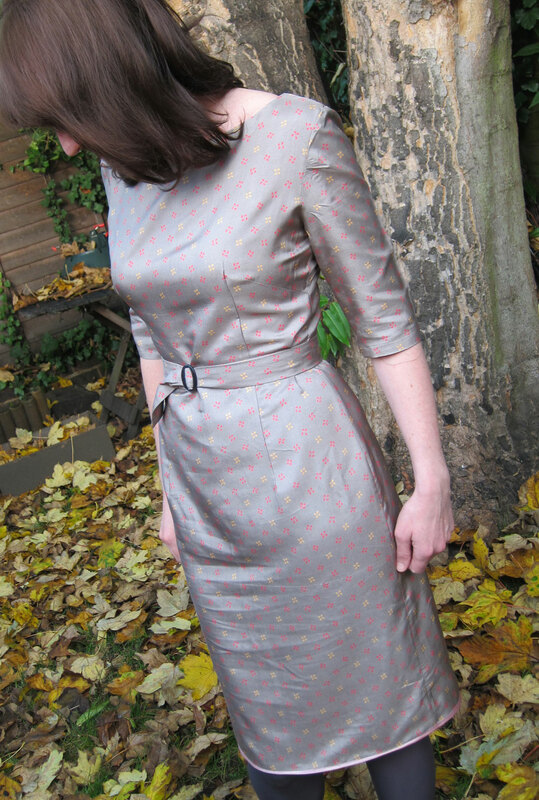 This entry was posted in Dressmaking, Stuff I've made, Vintage and tagged Dresses, McCalls by Joanne. Bookmark the permalink. Oh, Joanne – this is beautiful, and the colour suits you so well! You’ll turn heads at that wedding! 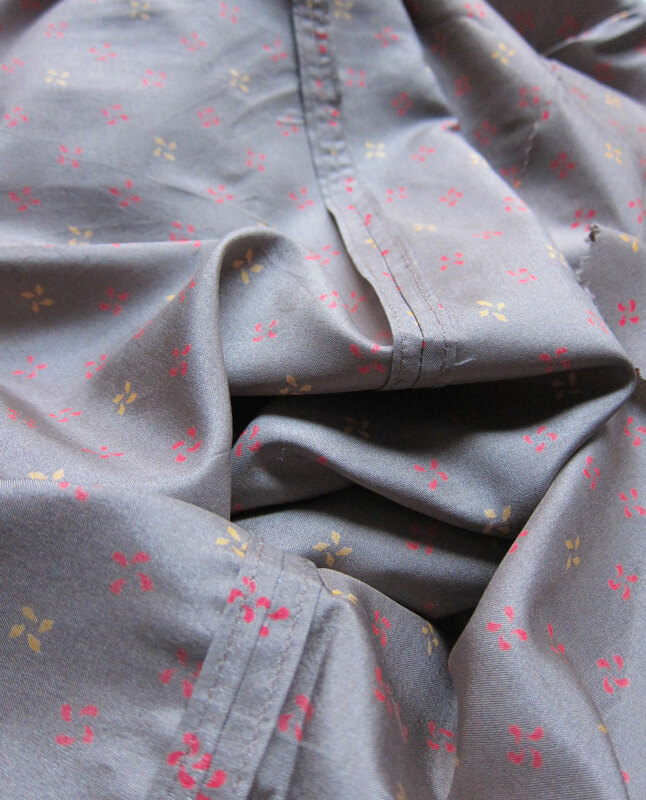 I love turned and stitched seams – it’s by far my favourite method of finishing seams. Lovely! That was so worth the effort- I love the belt as well. 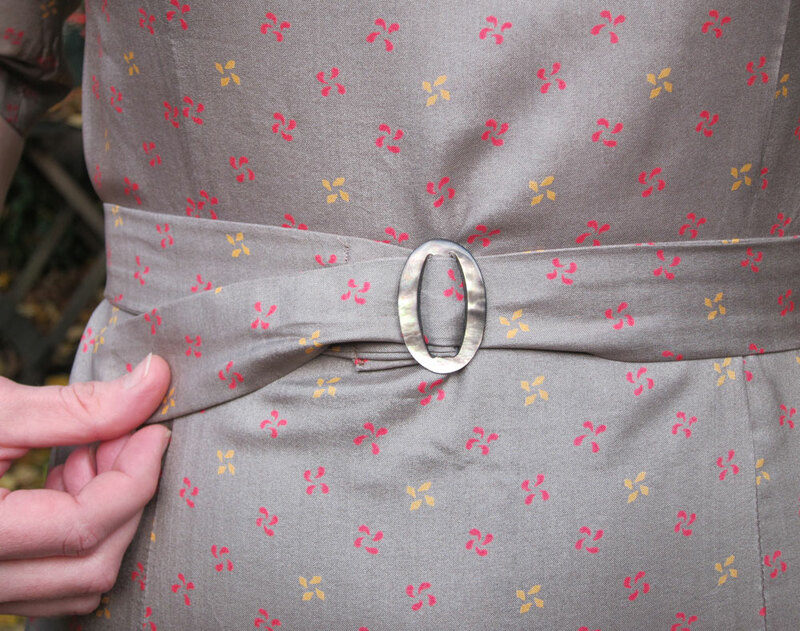 Such a pretty dress, you did a great job finishing the seams and the touch at the hem is great! Thanks Dolly, Molly and Prtty! Hahah are you sure? Not even for just a bit?! This is such a lovely dress, you look so elegant. I haven’t done turned and stitched seams since I’ve had my overlocker but seeing how neat they look makes me want to put the effort in. Joanne, this is such an elegant dress and it fits you like a glove! Just imagine proudly saying ‘I made it’ when everyone’s paying your compliments at the wedding ;o) I really love the belt, as you say, it finished the dress off nicely, especially with such a pretty buckle! The dress is fabulous! And a really great fit! Congrats on the fabby sewing related day!!! Thanks Debi! I really liked your post you put up a while back on not giving up because of ‘the gap’. Really inspiring – made me want to try harder! Super-lovely. It’s so elegant. I love the belt, buckle and turned seams. Do you know, I’ve never done a turned seam! I may need to, soon. So glad you won the snood and your Tilly mention was more than deserved. Thanks Karen. Oh I’m so happy about the snood! Hopefully you’ve got your Minoru pattern too now! I love this dress. It’s so elegant and you look stuuning. Awh thank you very much Nikki! I love this, it’s so pretty. The fabric is just perfect for the dress. The turned and stitched seams are a new technique to me, so thanks for that! the pink blouse on the upper right of your page is exactly the one for which I’ve been searching. Will you please share the pattern number and company? Love the fit of the shoulder and sleeve. Love that it’s really a blouse and not a shirt. Thanks Gail – no probs at all. The pattern is vintage and it’s Simplicity 3558. Let me know how you get on! Thanks, told you I was new at this. I just have to say that I love the name you chose for your dress. It suits perfectly – not only because of our autumnal weather at the moment but because your fabric is such a beautiful misty grey… and the design even looks a bit like fallen leaves. Good old Keats! Hi, I’m new to your blog from Tillys post. I adore this dress. It looks wonderful. You just can’t beat a vintage pattern sometimes! Really, really pretty! That silk is gorgeous! love it – especially the little buckle ❤ aww! beautiful! the matching belt is the perfect finishing touch! Heheh ooh you do make me chuckle 🙂 And now I don’t feel guilty for not making a lining either – cheers! Lovely dress and it fits you really nicely! wow – this is so pretty! great fit, and the fabric/pattern combo is perfect! so elegant! Absolutely Gorgeous! Did the buckle come from Aladin’s Cave / Looses on Magdalen Street by any chance (Norwich girl here!)? Yes! How on earth did you guess that? There are loads of vintage shops in norwich. Shh let’s not give it away! What a beautiful dress. I’m glad you kept on with it. Your turned seams are triumph beaut on the inside and the out. Juste un mot, sur les desserts qui s&nurso;accompagqent merveilleusement bien aprÃ¨s fondue; Meringue Ã la crÃ¨me de GruyÃ¨re. Ã dÃ©guster dans une fruitiÃ¨re ou une mÃ©tairie.De l’Ã©tÃ© comme l’hiver, c’est un plaisir locale suisse.